Are you interested in having the ACLU of Washington speak or provide informational resources at an event? 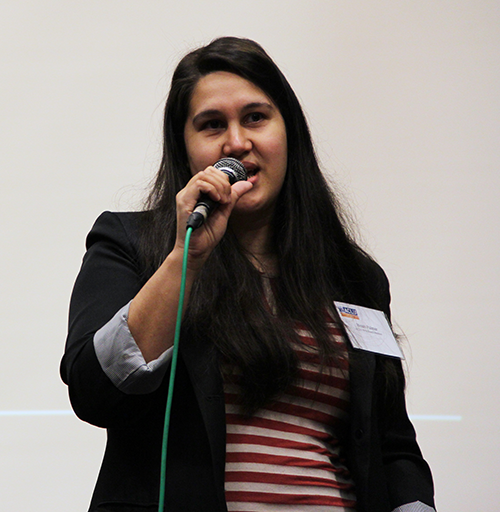 ACLU-WA provides dynamic speakers for schools, professional, and community groups on a wide range of civil liberties issues. Our speaking engagements vary from large forums of several hundred to smaller meetings, from rallies to panel discussions. We will match our speakers to your group's needs. And our speakers come to you free of charge! Use the following form to make your request. While we may not be able to provide a speaker for every event, we will try our best and will provide resources when we can't send a speaker. Please note, ACLU-WA can only provide speakers within the state of Washington. If you are interested in hosting an ACLU speaker outside of Washington, we recommend you reach out to your local affiliate - there's one in all 50 states and Puerto Rico!